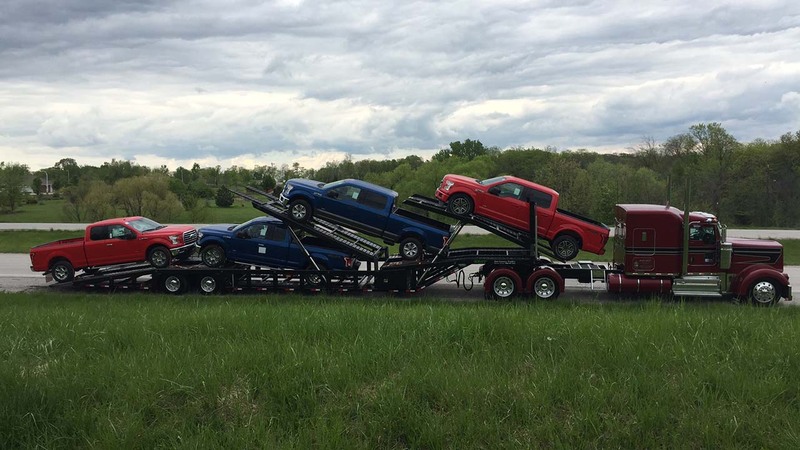 Our 5-Car Haulers are manufactured to maximize load capacity in a minimal amount of space. The versatility of our Next Generation Lo Pro and the classic design of our High Mount gives owner/operators the options for the different style of loads they may move. The tube steel design and powdercoat finish make Sun Country Trailers the leader in durability. 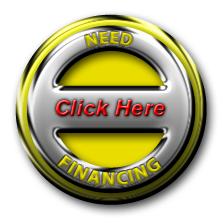 This versatile 4-5 car hauler is the perfect choice when you have both regional and national transport needs. The lower deck is 20’, providing plenty of flexibility to carry trucks and longer-profile vehicles, as well as other various motorized vehicles. A single-axel tractor is a great fit for this car hauler. 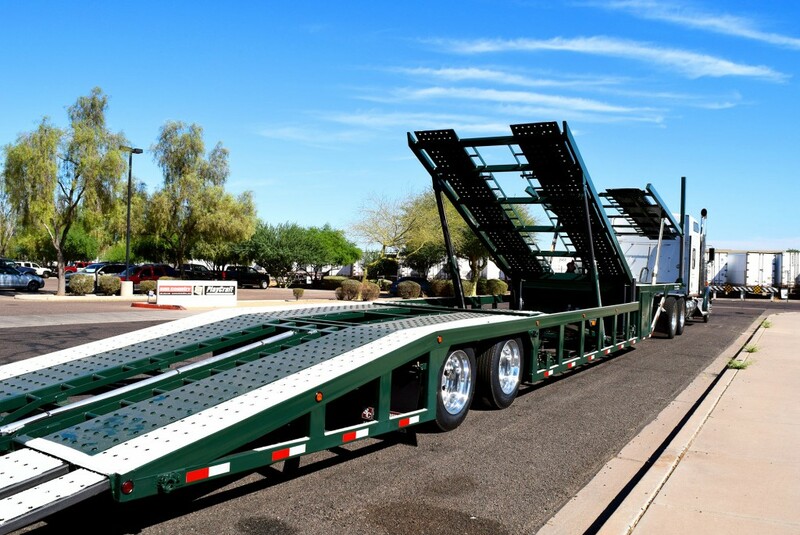 The Next Generation 5-Car Hauler gives class 8 truck drivers the widest range of load configurations of any quick loader on the market, with two different styles of frame this car hauler is our most popular model. At 53′ long, 102″ wide and a low deck height there isn’t much this car hauler can’t move. Still low profile, this version of our popular car hauler has an angled curve to the front which makes it ideal for moving mini-vans, SUVs and other higher profile passenger vehicles. A Class-8 tractor with 80″ between the back of the cab to the center of the kingpin is the best set-up for this easy loading car hauler. 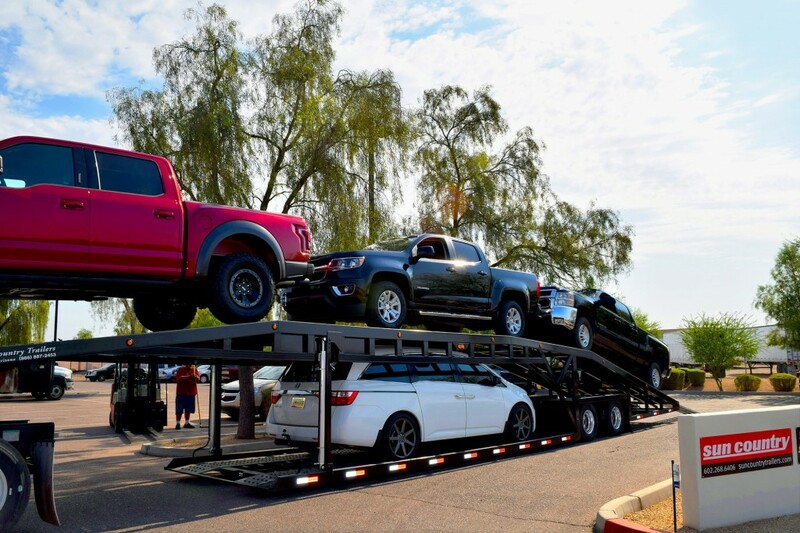 The Sun Country Trailers Next Generation 5-Car Hauler gives customers the widest range of load configurations of any quick loader on the market, thus making this car hauler our most popular model. This durable and versatile car hauler is ideal for carrying a mix of sedans, pick-ups and vans. 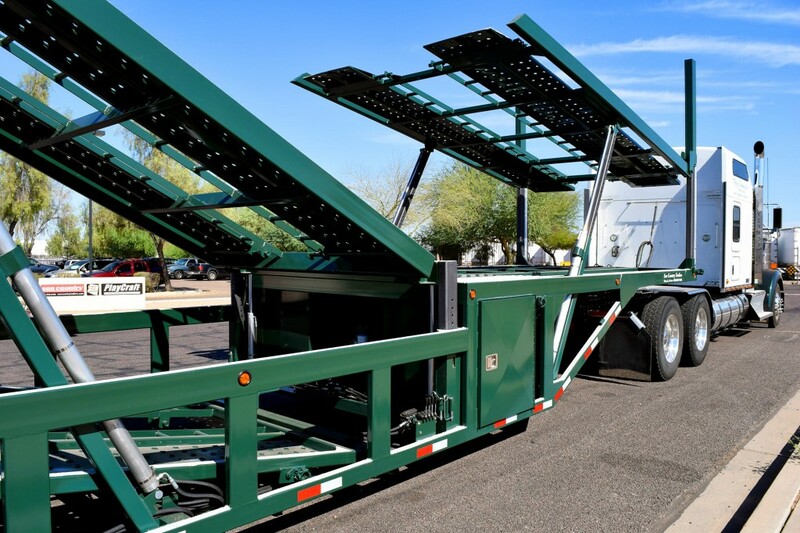 A road tractor with 80″ between the back of the cab to the center of the kingpin is the best set-up for this easy loading car hauler.